In the mid-1960s, Steir was appointed an Art Director at Harper and Row Publishing Company in New York. 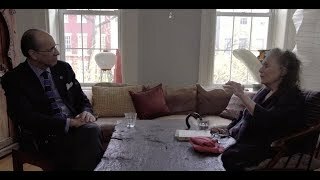 In the early 1970s she taught art at Parsons School of Design, Princeton University, and later at the California Institute of the Arts where Ross Bleckner, David Salle, and Amy Sillman where among her students. She is a founding board member of Printed Matter Bookshop, HERESIES: A Feminist Publication on Art and Politics, and Semiotext(e). Steir was lauded in the early 1970s for her monochromatic canvases featuring various iconographic symbols—most prominently roses, inspired by Shakespeare’s famous aphorism, “A rose by any other name would smell as sweet” and Gertrude Stein’s retort, “A rose is a rose is a rose”—crossed out with ‘X’ figures. Of this act of effacement, the artist explains, “I wanted to destroy images as symbols. To make the image a symbol for a symbol. I had to act it out―make the image and cross it out.” This series marks the artist’s first engagement with questions of representation and semantic signification. Steir continues to explore these issues, working to unfix the tradition of representation in landscape painting, instead evoking the meaning of landscape without imagery as such. In the late 1970s, Steir traveled extensively in the United States and eventually lived in Europe where numerous galleries regularly presented her work. By 1988, back in New York, Steir began to experiment with pouring and flinging thin layers of white paint onto canvas, releasing herself from conscious consideration of imagery and composition and allowing the indexical trace of her process to become the image itself. While her pouring process invites comparisons to Jackson Pollock, rather than laying her canvases on the floor, Steir paints from a ladder and works directly on unstretched canvas tacked to the studio wall. The delimited chance of this working method has since come to define Steir’s practice. However, rather than wholly abandoning the execution of her paintings to external elements and factors, Steir exercises rigorous control over her technique. This studied and deliberate release of control as an artistic method developed through her study of Japanese and Chinese painting. Steir is deeply inspired by Taoism and Buddhism, and her working methods transcend the divide between figuration and abstraction. 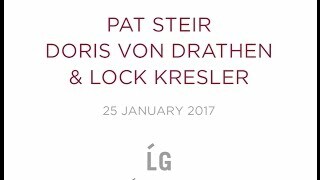 Intentionally deviating from the gestural flatness in the work of Pollock and other Abstract Expressionists, Steir instead explores a contemplative condition of unbound perception. In this way, she seeks to both portray and evoke a state of mind: rather than representing the sublimity of a waterfall or seascape, Steir’s paintings become charged spaces of transcendental content. For five decades, Steir has had an extensive solo exhibition history with American and European museums. Most recently, Drawing Out of Line traveled from the Museum of Art, Rhode Island School of Design, Providence, to Neuberger Museum of Art, Purchase, New York in 2010. In 200, Watershed traveled to the Butler Institute of American Art, Youngstown, Ohio, and the Des Moines Art Center, among other venues. In 1998 Steir created site-specific installations Likity Split and Ghost Moon Mountain Water for The Whitney Museum of American Art, New York, and P.S. 1 Contemporary Art Center, Long Island City, respectively. Other major exhibitions include: The Irish Museum of Modern Art (1996, 1994); Centre National d’art Contemporain de Grenoble (1992); and Musee d’art Contemporain, Lyon, France (1990), among others. In 1988, Pat Steir Prints 1976-1988 opened at the Cabinet des Estampes, Musee d’art et histoire, Geneva, and traveled to The Tate Gallery, London. The prior year, the Rijksmuseum, Amsterdam presented Paintings 1981-1984; The Baltimore Museum of Art hosted Drawing Now: Pat Steir; and Kunstmuseum Bern opened Paintings and Drawings. In 1984, the Brooklyn Museum organized Pat Steir: The Brueghel Series (A Vanitas of Style), an exhibition that traveled to ten museums including the Dallas Museum of Art; Centre d’art Contemporain, Palais Wilson, Geneva; Los Angeles County Museum (LACMA); Des Moines Art Center; and the Gemeentemuseum Den Haag, The Hague, The Netherlands, among other venues. Form Illusion Myth: The Prints and Drawings of Pat Steir opened at the Spencer Museum of Art, University of Kansas, Lawrence, in 1983 and traveled to the California State University, Long Beach; Contemporary Arts Museum, Houston; The Wellesley College Museum; and the Brooks Memorial Art Gallery, Memphis. 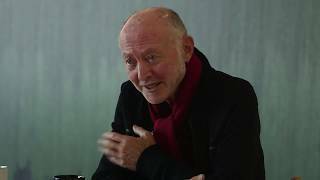 Steir’s work has been included in hundreds of group shows and is held in the permanent collections of major museums worldwide including: Denver Art Museum; Fondation Cartier, Paris; Hirshhorn Museum and Sculpture Garden, Washington, D.C.; Louvre, Paris; the Metropolitan Museum of Art, New York; the Museum of Modern Art, New York; National Gallery of Art, Washington, D.C.; the Philadelphia Museum of Art; the Whitney Museum of American Art, New York; the Solomon R. Guggenheim Museum, New York; and Tate Gallery, London, among other institutions. Along with lecturing at museums and universities, Steir is the recipient of several awards including a Guggenheim Fellowship (1982), as well as grants from the National Endowment for the Arts (1976, 1973). In 1991, she was awarded an Honorary Doctorate of Fine Art from the Pratt Institute, Brooklyn, NY, and, in 2001, received the Boston University School for the Arts Distinguished Alumni Award. 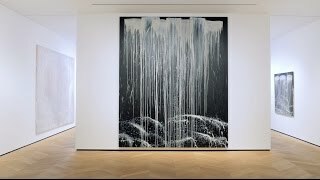 de Young Museum | The Nature of Nature: Pat Steir’s "Black and White One-Stroke Waterfall"
It’s hard to fully comprehend the paintings of Pat Steir until you’ve stood in front of one. 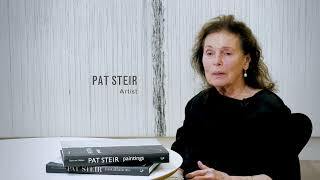 Pat Steir is a full-time painter, but in another life, she was likely an acclaimed poet.